The EU Parliament has approved amendments to the proposal for a directive on copyright in the digital single market: what has changed, and how long will it take for the directive’s text to be finalised? 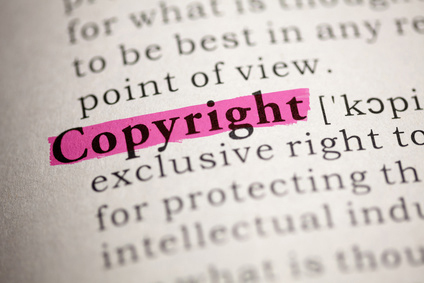 The proposed EU directive on copyright in the digital single market aims to modernise EU copyright provisions bringing them up to date with the evolution of digital technology, and also to harmonise national copyright regimes. After two years of heated debate, on 12 September 2018 the European Parliament approved the amendments to the proposal for a directive of the European Parliament and Council on copyright in the digital single market presented on 14 September 2016. What has changed in the proposal for a directive on copyright in the digital single market? The amendments approved on 12 September 2018 aim to ensure that creatives, in particular musicians, artists, performers and scriptwriters, along with publishers and journalists, receive remuneration for their work when it is used on sharing platforms such as YouTube, Facebook and Google News. News publishers will be able to obtain a fair and proportionate remuneration for the digital use of their press publications by information society service providers (news aggregators such as Google News). The publishers’ right will last for five years as from publication. Adequate provisions must be adopted by Member States to ensure that authors receive an adequate part of the additional profits for press content used by information society service providers. Publishers’ rights will not however extend to mere hyperlinks to articles which, along with the use of “individual words” as descriptions, may be used freely by information society service providers. The new amendments have also introduced an obligation for information society service providers that memorise and give access to great quantities of works and other content uploaded by users. Online service providers will have to conclude fair and appropriate license agreements with the right holders. The idea is to create a system in which providers agree with publishers, film and record companies to conclude license agreements allowing the online services to host copyrighted content. The system should be able to block the uploading of videos, music recordings or other media preventing dissemination and consequently the infringement of copyrights. User identity will not be revealed by service providers, in compliance with privacy laws. License agreements must regulate responsibility for works uploaded by users of online content sharing services. Users not pursuing commercial purposes must be exempted from responsibility. The exemption also applies to the uploading of content onto online encyclopedias for non-commercial purposes, such as Wikipedia, or onto open source sharing platforms, such as GitHub. Service providers must put in place complaints and redress mechanisms available to users against the unjustified removal of users’ content. When will the directive be finalised? The latest version of the proposal has been much discussed: critics fear that service providers will be forced to employ costly and not always effective technology such as “Content ID”, which YouTube has been using for years to avoid the uploading of copyright-infringing videos. Supporters of the adopted amendments point out that the solutions they include allow a more appropriate mechanism of online licensing which will better protect authors’ rights. For the same reason, the music and film industries as well as authors’ associations view these amendments favourably. Officially, the text voted by the European Parliament on 12 September is not to be considered final; the definitive vote is to take place in January 2019 after further exchanges between the EU Parliament, the EU Council and the European Commission. However, it is generally considered unlikely that the text will undergo further changes.